Sadly, I know very little of the life of my GGG Grandfather other than his direct line to me. 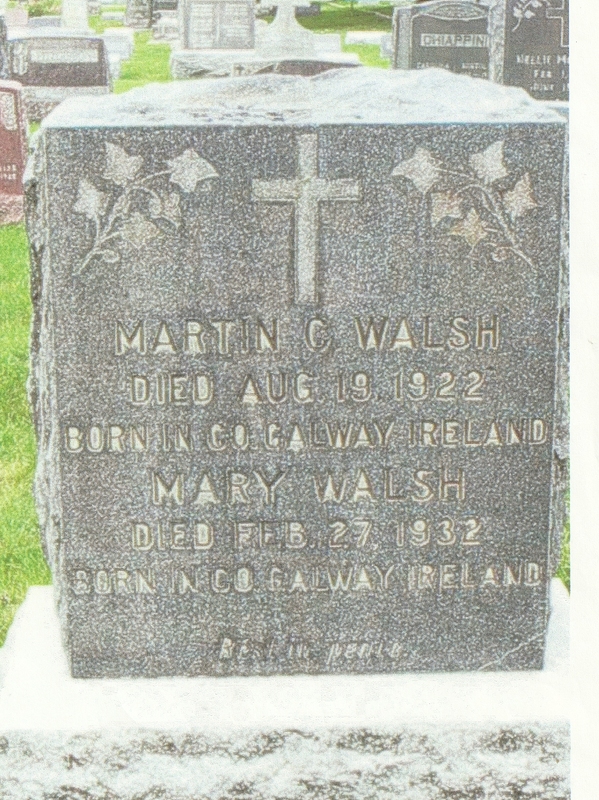 His daughter Mary Mullen (Sept 1855 – 27 Feb 1932) and her husband Martin C Walsh (Aug 1851 – 19 Aug 1922) were both born in Co. Galway. According to family stories, the left Ireland before 1880 and sailed for the US. They were married in the US State of Colorado on 14 Sep 1881. 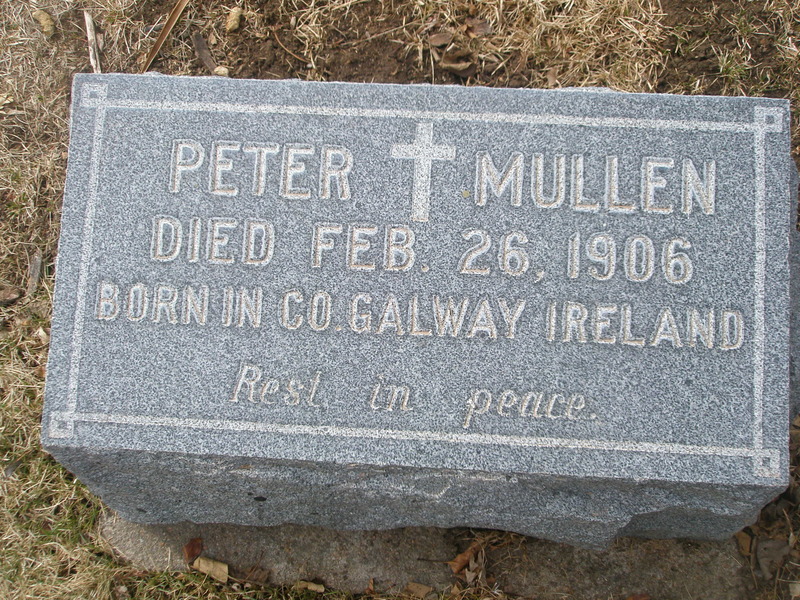 A cousin has traced their roots back to Oughterard, Co Galway and believes their old home to be the Mullen Farm in that township. 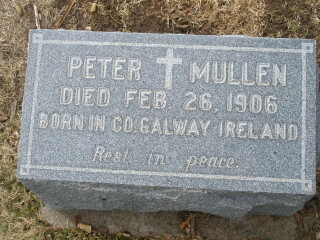 I am looking for any Mullen decendents willing to confirm this with DNA analysis. This page was added on 21/07/2013. Dear Frederick Kramer, My Grandmother x2 was Margaret Mullen. 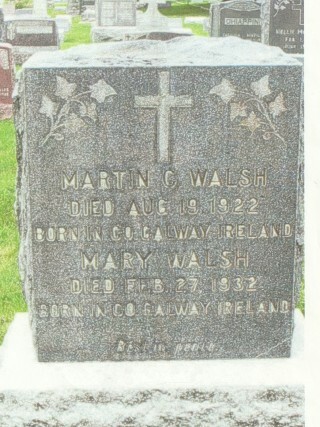 Born 1855 d. 1913. She married Edmond King, b. 1853 d.1944. She had a brother Michael King b.1861 and had twins. I belong to ancestry.com and already have had my DNA. My email is joycey56@verizon.net and on Ancestry.com my tree name is public and it is called the Ranahan Family tree. Please feel free to email. Joyce Ranahan…..by the way they were from Oughterard….